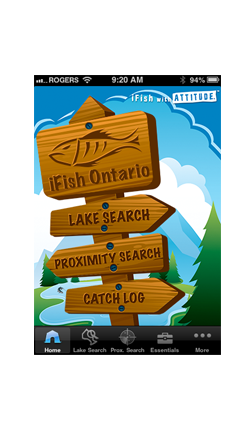 For those of you who love apps, here's an interesting one, The ifishOntario App. Over 8,200 Ontario Lakes, with Google Maps integration. Keep in mind that you won't have access to this App while fishing some locations in Northern Ontario. But that's okay. Some fishing adventures should be just that, an adventure, unplanned and kept a secret!